Software Factory (Fiji) Limited is pleased launch its new SuperSoft™, a superannuation fund management system, that is geared specifically towards the Pacific Islands Super and Provident Funds. The system is designed and built entirely by our experienced designers, developers and financial integrators based in Suva, Fiji. 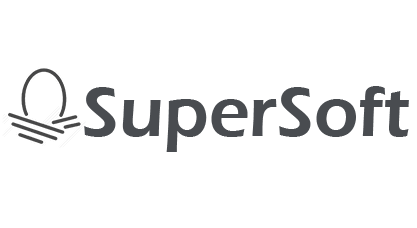 SuperSoft™ is a game-changer for Pacific Super Funds. SuperSoft™ is a major system upgrade to its predecessor, the existing Fund Management System (FMS). The FMS has been running successfully at a number of Provident Funds in the Pacific. SuperSoft™ is not only designed for the current era, but also for the future with its in-built flexibility to be deployed to the Cloud when it does become necessary. Initially, your Board may decide to host the system within your In-house Servers utilising your own in-house resources. We can deploy and host SuperSoft™ within your in-house servers. However, if in 5 years time you do decide to host it to a secure Cloud Service Provider then it takes us only a few weeks to ready it (Supersoft) for cloud-deployment. SuperSoft™ is touch-centric meaning that you can use your latest Smartphone or Tablet to access the system and apply any of the usual gestures to navigate and use the system. Members can use their iPhones, iPads, Android phones, Android tablets, and Windows Phones and Windows Surface Pro tablets or Surface Books. Members can also use the ever popular standard text based mobile (feature phones) to access their account balances and check for their eligibility. Provided your provident fund allow its members the access to their accounts then it means that they can access their accounts from anywhere and anytime locally or any other part of the world. Dividend accumulator will give your provident fund an opportunity to distribute the dividends to members on the basis of the true-time-value-of-money.